Website maintenance and updates are extremely important. Keeping the CMS and plugins updated ensures that all security patches are installed. Without these updates your site is at risk for hacking. In today's world, you shouldn't underestimate how important it is to stay on top of security patches and updates. In 2016 the US estimates that cyberhacks cost $109 Billion. Protect your company's website now by updating. This is especially important if your website is running ExpressionEngine 2 or ExpressionEngine 3. ExpressionEngine 2 retired in April 2017, ExpressionEngine 3 will retire on December 14th this year. Learn more about this in the link below. Due to the age of ExpressionEngine 2 and 3 sites it is becoming more and more difficult and costly to maintain. Remember that a website is a lot like owning a car. It needs regular maintenance and eventually needs to be replaced. Learn more about how a websites is like a car below. 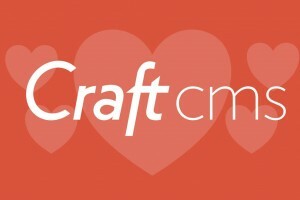 Also learn about how Craft CMS makes publishing content simple and fun along with increased power and flexibility. Let's talk about the options available to you for your ExpressionEngine 2 and 3 websites. Email me to discuss your options.